This cereal was described on the box as a "presweetened, multigrain cereal with marshmallows." The marshmallows came in the shapes of a jellyfish, SpongeBob, Patrick and a pineapple. The cereal would later add "NEW Plankton Marshmallow Pieces" and alter it's name slightly to The SpongeBob SquarePants Movie Cereal. 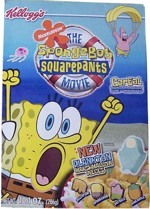 SpongeBob Squarepants cereal was made under an agreement with Nickelodeon as part of a promotion for the 2004 animated film The SpongeBob SquarePants Movie. The original cereal box was a bit innovative. The front of the box had a panel which revealed another large pic of SpongeBob when folded over. The back of that panel had a game called "Seaweed Shuffle!" 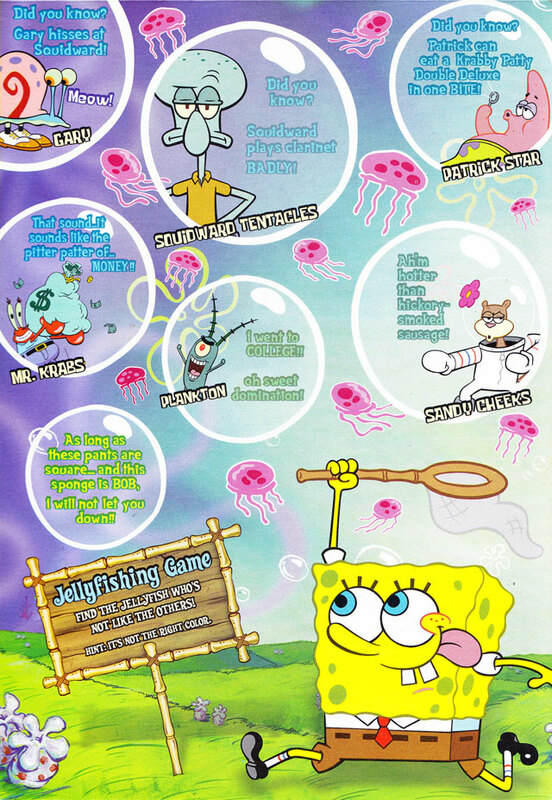 The back of the cereal box had a "Jellyfishing Game" with instructions to "find the jellyfish who's not like the others!" The first 4 ingredients listed on the nutrition panel were corn flour, whole oat flour, sugar and marshmallow bits. 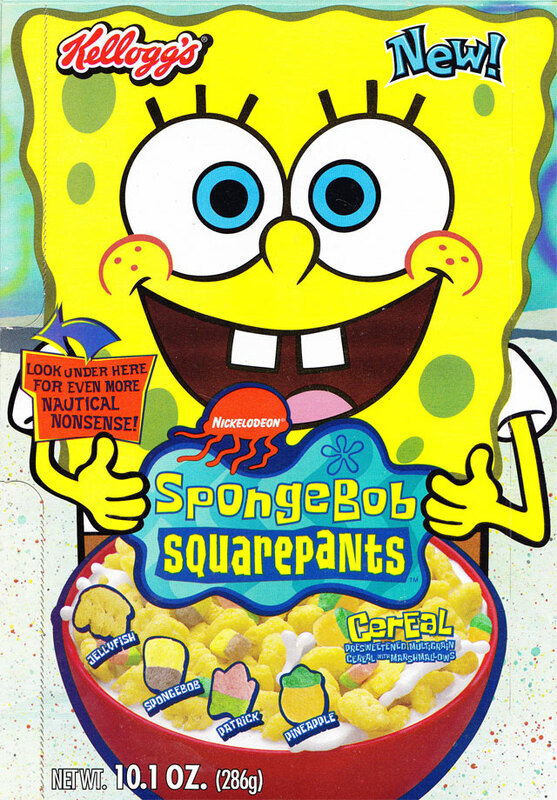 In 2014, General Mills introduced a different SpongeBob cereal called SpongeBob Squarepants Fruity Splash. 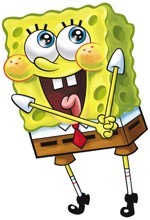 What do you think of SpongeBob SquarePants? View all 26 comments for this cereal. Who can I contact to bring this cereal back? Am I the only one who craves this all the time? Why did they take it away?! I absolutely loved this cereal, the best I ever tasted! The new SpongeBob cereal is boring. Please bring this cereal back. It was the best cereal I ever tasted in my life! My 3 year old loves Spongebob cereal and asks for it everyday. It breaks my heart to tell him I don't have it. Please bring it back and make my son happy! 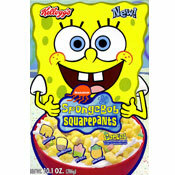 Please, please bring back SpongeBob SquarePants cereal! Please! This version - not the version that came out a few months ago. They should bring it back. I was 6 when this cereal came out. It tasted amazing. If they bring it back, I would make my mom buy a lot. My kids love SpongeBob, but they hate this cereal. They refuse to eat it. Best cereal ever! Please bring it back, even if only temporarily! I loved this cereal. Please bring it back! No cereal has ever been like it! 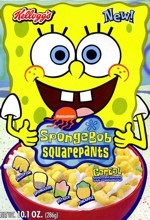 I love and completely miss Sponge Bob cereal! 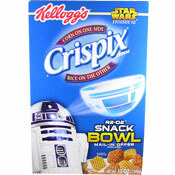 It tasted so amazing and it was one of the only cereals I actually liked as a kid. PLEASE BRING IT BACK!